The end of term is fast approaching, already here for others – which means a long (hopefully hot) summer, without having to worry about your studies. If you’re jetting off on an amazing backpacking trip around the world, we’ll try not to be too jealous. However, if you’re unable to get away this summer, don’t feel disheartened. There are loads of great activities to enjoy here in the UK. Don’t believe us? Here’s a guide to give you inspiration. Okay, so you may have missed out on Glastonbury tickets, but the good news is – there are plenty of other festivals happening all over the country. The Festival Calendar is useful for finding out what’s on. Can’t afford the tickets? Look into volunteering at the event instead. Yes, you’ll have to do some work, but you’ll get in for free – result! When the sun’s out, nothing beats taking to the waves on a surfboard. Most of the UK’s best surfing schools are in the South-West. However, there are a few excellent establishments closer to Glasgow – such as Coast to Coast Surf School in Dunbar. If you’ve got some spare cash, invest in a one-man tent and catch a train to somewhere you’ve always wanted to go in the UK. Stay on a campsite near a city and explore the attractions on a shoestring, or book your place at a camping ground by the coast, and watch the sun set over the ocean. If you’re under the age of 25, you’re eligible for a Young Person’s Railcard, which gets you a third off every train journey. Hey, you’ll be graduating soon, and when you do, you’ll need to be able to cook proper food! Brush up on your culinary skills at a cookery class near you. There are plenty to choose from across the country – here’s one located not too far away from Glasgow. Train for a charity race. Have you always wanted to get into running? Well, now is your chance! The pleasant weather means you won’t have to endure the rain and wind on your route – and you can put your new-found skills to good use by running for charity. You’ve got all this free time, so what better way to spend it than at work? Seriously though, getting some work-experience in the industry you want a career in is a shrewd idea – and gives you an immediate advantage when you’re applying for jobs. It can also be a rewarding experience, giving you the chance to work alongside others and get the ‘real picture’ of life in this career. Here’s a handy guide, detailing how to get the best out of your work experience. Wherever you’re headed this summer holiday – if you need somewhere to store your belongings, give us a call! 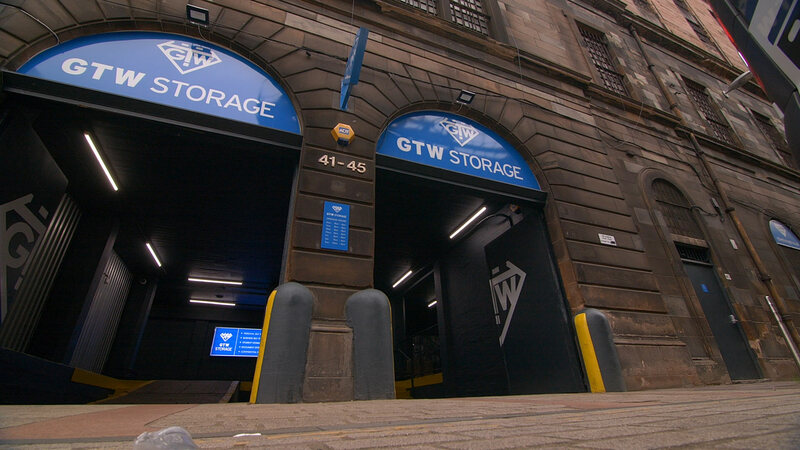 We’ve got a range of self-storage units, right here in the centre of Glasgow – which are ideal for securely storing your stuff.